Is it 2008 all over again for Zimbabweans? 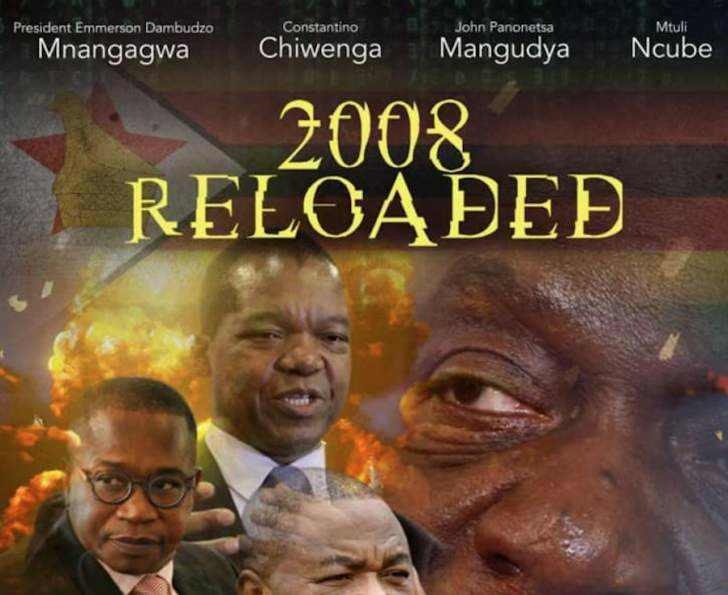 Even though government is claiming to be on top of the situation, Zimbabweans are panicking because events from the past few weeks have an eerie similarity to what happened in 2008 when the country tumbled to the worst economic and political crisis of its history. Ten years ago, following a disputed election, where the state unleashed its security agents on opposition supporters after the then president Robert Mugabe lost an election to Morgan Tsvangirai, Zimbabwe was experiencing acute food shortages and a cholera epidemic made the situation worse. According to the Human Health Journal: The Cholera Epidemic in Zimbabwe 2008-2009 of July 14, 2017, the epidemic resulted in 98 585 reported cases and caused more than 4 900 deaths. Ten years later, following another disputed poll, Zimbabwe was again hit by the cholera epidemic which, according to a United Nations Children's Fund report of September 13, 2018, had a total of 1 901 reported cases and had caused 24 deaths as of September 13, 2018. In 2008, according the Health Journal, the epidemic was aggravated by a chain of human rights abuses, in the politicization of water, healthcare, aid and information. Governance issues also restricted development in human health. The report also showed that ZANU PF's loss of the municipal elections in 2005 led party leaders to decline funding municipal budgets in cities where it had been defeated including Harare, which was then hard hit by the epidemic. The retaliatory cuts then led to the stopping of water purification and eventually the redirection of raw effluent into the city's main reservoir. "A breakdown in the most basic elements of water and sanitation infrastructure underpinned the cholera epidemic in Zimbabwe. The failure of ZANU-PF to maintain basic infrastructure, particularly in areas of opposition support, continued as the epidemic began to take root. On November 29, 2008, Harare residents reported a complete cut in water supply, as the Zimbabwe National Water Authority had ceased pumping water from its main treatment plant after running out of aluminum sulfate, one of four chemicals it had been using to treat the water," reads the report. For 2018, initial investigations, according to the UNICEF, revealed that the key risk factors propagating the outbreak of Cholera included inconsistent water supply, burst sewer pipes and the use of unprotected water sources. "Whilst substantial gains have been achieved in the WASH and Health sectors, the socio-economic situation has resulted in declining government investments in urban water supply and sanitation, which is leading communities to compromise on safe water, sanitation and hygiene practices thereby increasing the risk of WASH related diseases," read the UNICEF report. In 2008, Cholera broke out amid an economic crisis that led to the hyperinflation of the Zimbabwean Dollar, with inflation surpassing 2 000 000 % in July 2008, and the successive devaluation of the currency. While the Land Redistribution exercise played a role in the economic collapse of Zimbabwe, ZANU PF's economic policies finalised the doom. Through extravagant spending on the uniformed forces and on party loyalists to placate them, ZANU PF acquired huge deficits which were then financed by having the Reserve Bank of Zimbabwe print new money under the direction of the then Governor Gideon Gono and Finance Minister Samuel Mumbengegwi. A decade later, Zimbabwe is heading into another economic crisis and subsequent hyperinflation. Uncontrolled government spending on cars for party loyalists to appease them accompanied the weak economy. In January 2018, President Emmerson Mnangagwa handed over 52 double cab vehicles to traditional leaders in Gweru and in August 2018, he again handed over 90 Isuzu vehicles to traditional leaders as his promise after taking over power from former President Robert Mugabe last year that chiefs need to be respected and should have decent transport and accommodation. In 2008, fuel shortages hit the country as the government did not have the foreign currency to import its own fuel. According to a report by The Zimbabwe Independent on February 28, 2008, the government had resorted to buying foreign currency on the parallel market to import fuel. "The news came as it also emerged that millions of United States dollars belonging to mining companies, exporters and non-government agencies have also been diverted by the central bank to fund government operations ahead of the harmonised elections," read the report. In 2018, long fuel queues have resurfaced in Harare and other parts of the country with most service stations going dry leading motorists resorting to panic buying. This has resulted in the black market for fuel immediately resurfacing, with some illegal fuel dealers charging as high as $2 per litre against a pump price of $1.40.